Click the Input icon on the component toolbar. 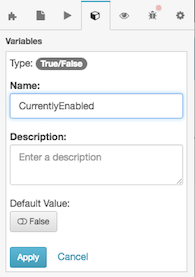 Set the Requires Value switch to Yes if the user must type a value into the component. This setting is No by default, meaning that user input is optional. To select an action, click a row in the list. You can assign a previously defined action or create a new action. Placeholder text displays a hint to the user. For a text input, placeholder text is shown until the user types input. If the user clears the contents of an input box, then placeholder text is re-displayed. For a dropdown, placeholder text prompts the user to make a selection. The placeholder is replaced after the user selects an item. Tip: Manually typed placeholder text is ignored if the component is bound to a variable. If a variable is selected, then its value is always displayed. Validation ensures that text entered by an agent is properly formatted. When focus leaves the text input box, its value is tested to ensure it conforms with the selected validation rule. If user input does not pass validation, borders turn red to indicate a validation problem with what was typed. Determines whether or not the user is required to type or select a value. The default is No, meaning that user interaction is optional. The user interface visually indicates whether user input is optional. Text input boxes support a single line by default. When Multiline is set to No (by default), a text input does not wrap text or resize itself vertically. If you set Multiline to Yes, then a text input accepts multiple lines of text. For example, if you set one component to a weight of 200, and the other to a weight of 100, then the first component occupies two thirds of the remaining space, while the other only takes one third. The first component appears twice the size of the other component, since its weight was two times the second component's weight. 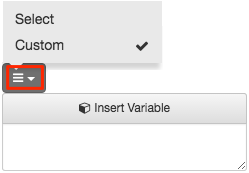 To optionally update all margin values at once, press the Set All button for Margin in the properties panel. Use the spin control to increase or decrease the margin. 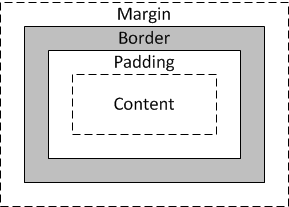 If Set All was selected, the change is applied to all margins. Select a variable, or optionally create a new Yes/No variable and then assign that new variable to the Visible property. At runtime, the component is visible when the value of the variable is True. Conversely it is hidden when the variable's value is False. You can select a Scripter action, an Outbound Action, or a custom action. Outbound actions are not available unless the Outbound property is enabled.